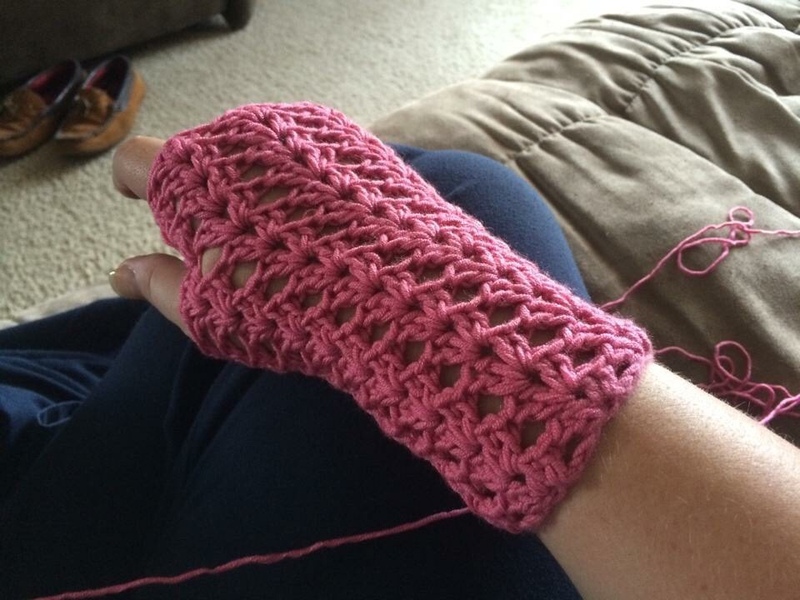 My new crocheting craze. 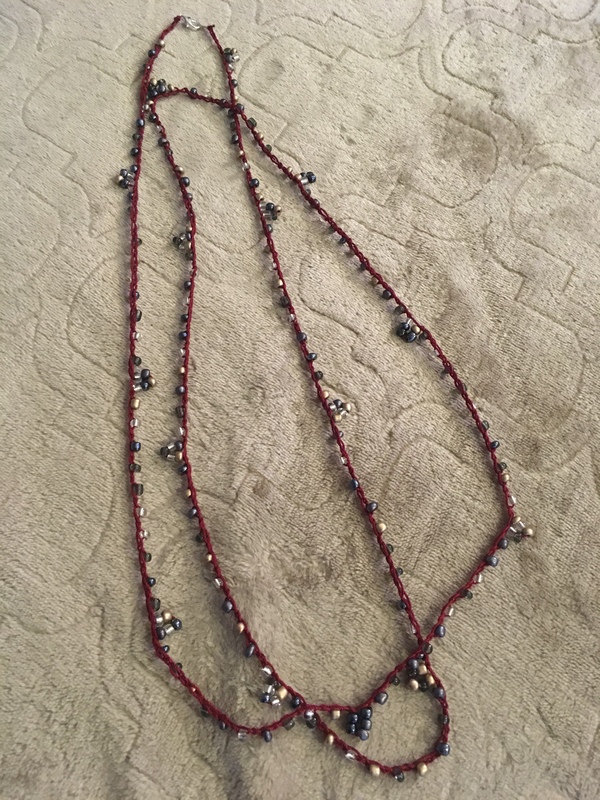 I made a necklace. Do you think you’d wear one? More to come soon. 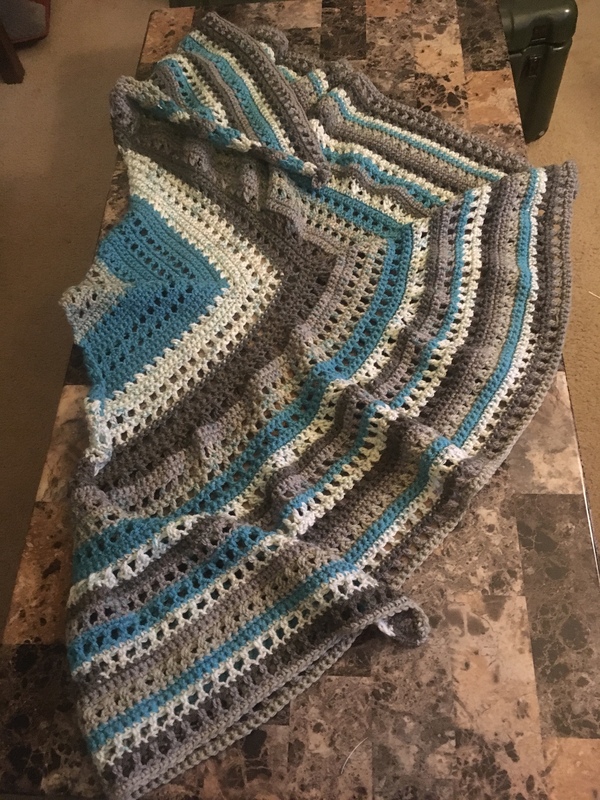 My daughters afghan is finally finished! It seemed to take forever to tuck the ends and snip them. 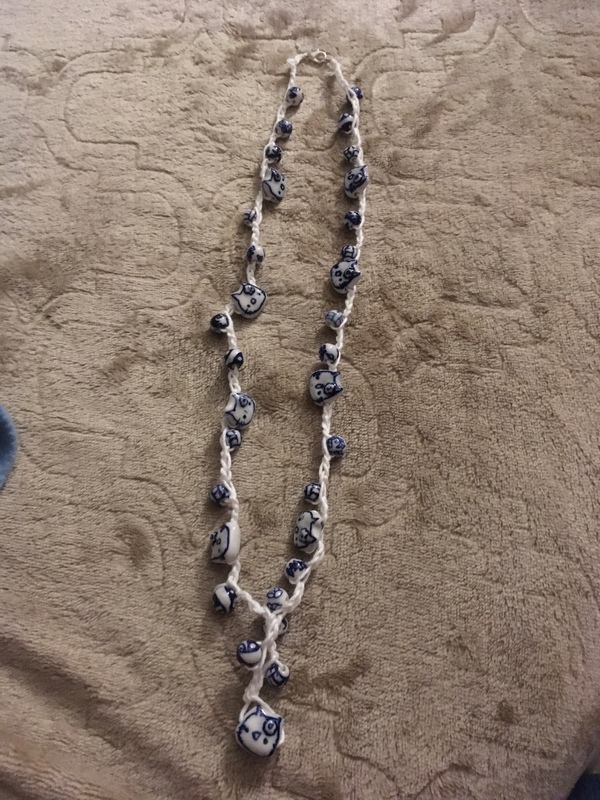 If found a few places where there were squares not fully connected, so I had to remedy that and one somehow began to unravel, so that was fixed as well. 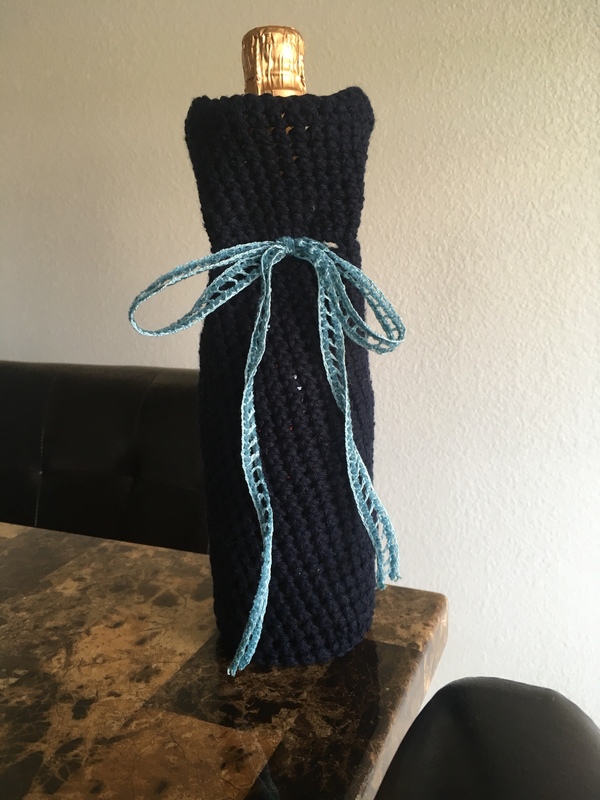 Since I finished my nephews snoodie and I ran out of yarn to continue my daughters afghan, so I went looking for small projects to do. 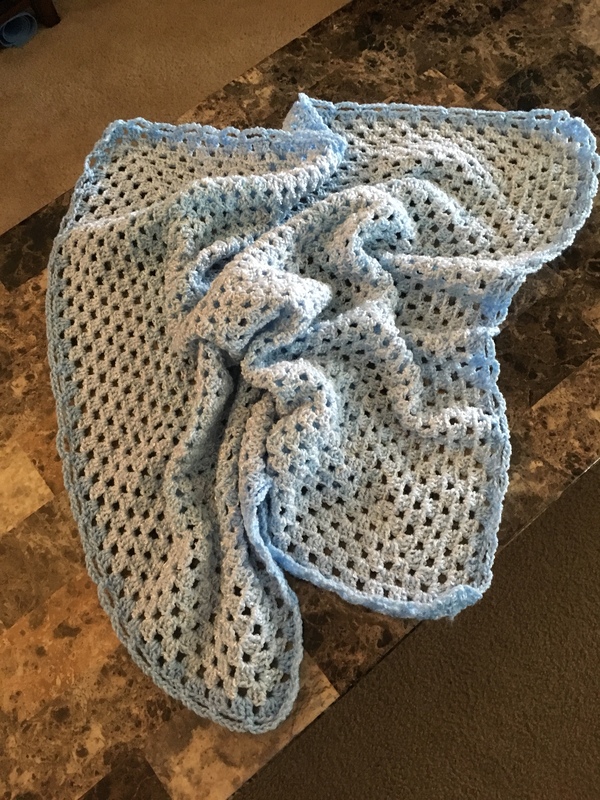 I saw that I had some soft blue yarn and started to make a granny square and kept going until I ran out. I then used a darker blue to border it. 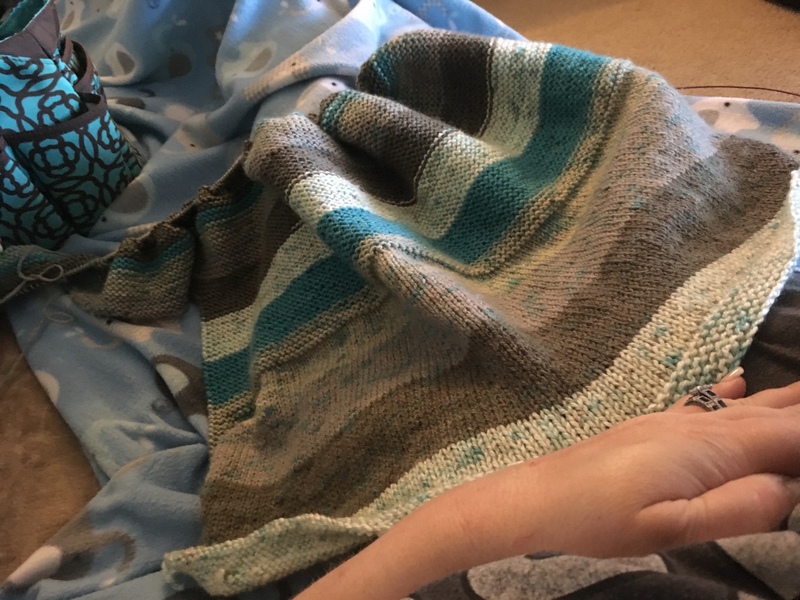 I’ve been working on this afghan for my daughter. It was supposed to be to help her anxiety with our move. Our move was this past September and I kept talking with her and a few things I said to her and her new school helped her get over her anxiety, this time. 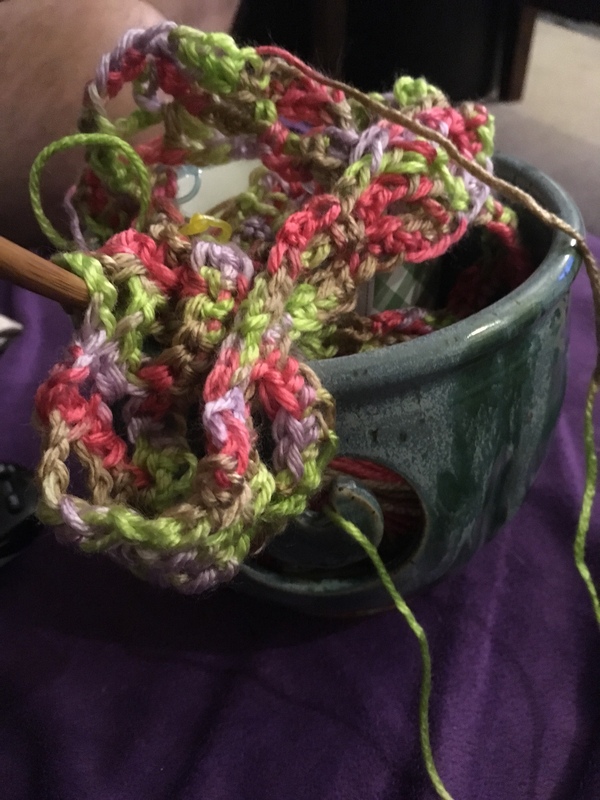 The first stages of making plarn, yes I did say plarn….yarn made from other medias. I will be helping the homeless with this. I would love any help from anyone if you’d like to help out. 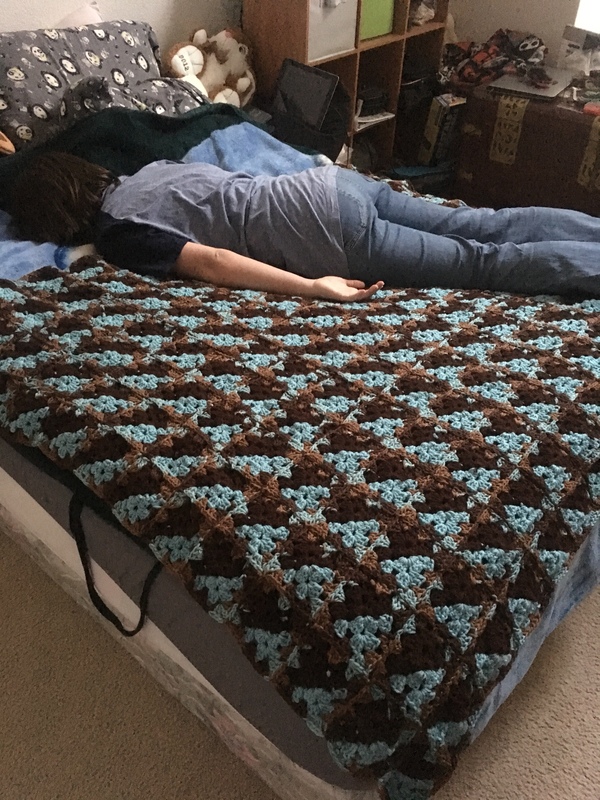 Im going to be crocheting mats for the homeless. If you would like to make some and give them out where you are, that is awesome!! If you want to donate grocery bags to me, or whatever you can think of, that is Awesome!! Project on hold for now. 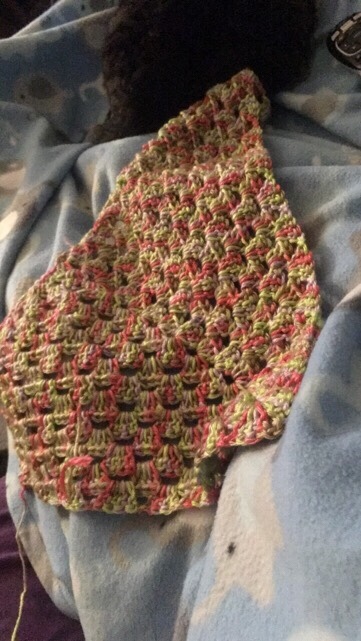 My nephews snoodie is on hold… I played yarn 🐓 chicken. 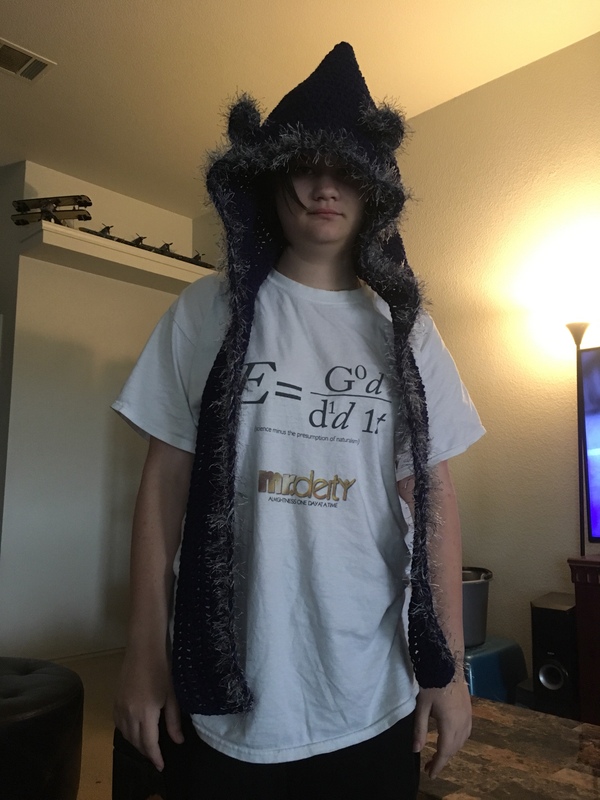 I was able to finish the body but I didn’t have enough to close the hood or make ears. I had to order more red yarn. I will get it in time to finish before next weekend. We are going back to Houston to visit again and I will be able to give it to him then. Awhile ago I received an email from Red Heart and it had what I thought was an interesting topic. 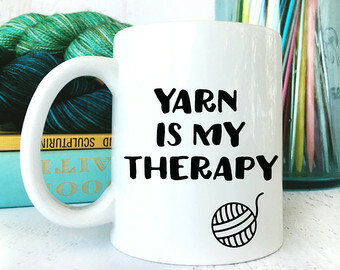 It was about yarning, yes that’s right I said yarning. It defined it, which I thought was cool and true. So here it is. 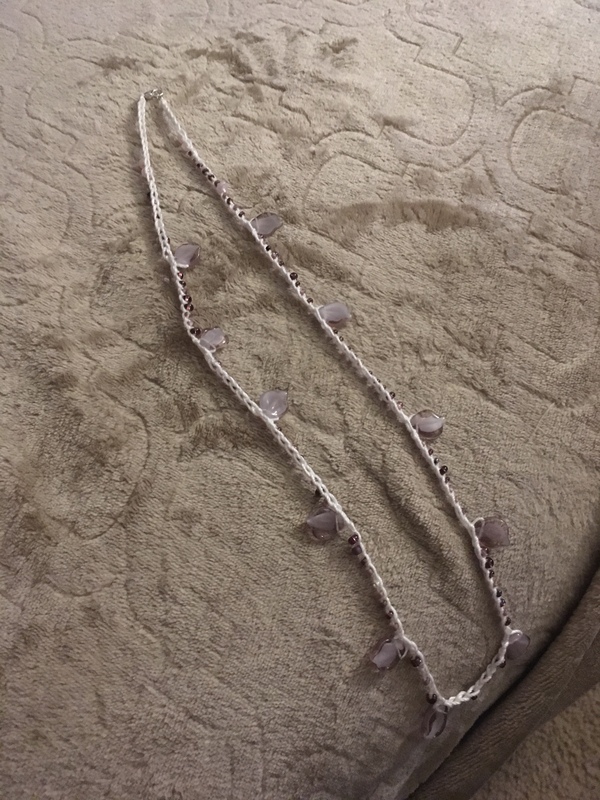 You could be yarning in the car, while waiting in line, watching a football game, or binge watching your favorite show. 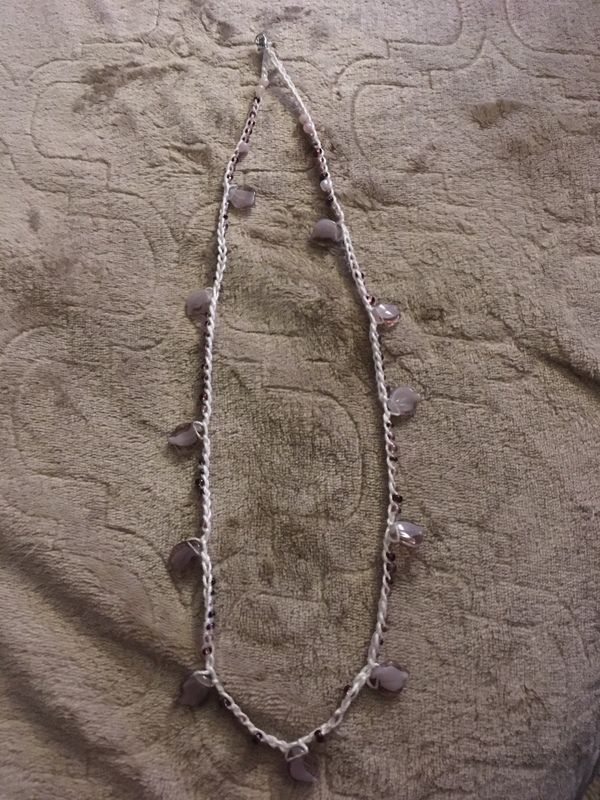 Every creation tells the story of what you are doing while yarning. Example of me yarning on the road; hubby driving and me talking to him as we go. 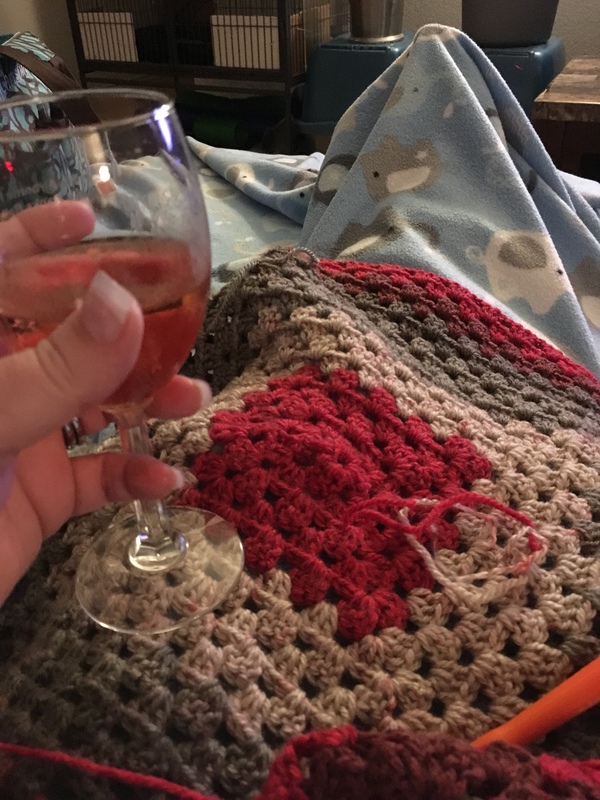 I yarn and multitask alot, mostly watching tv, if hubby is with we are binging on Netflix or Hulu! 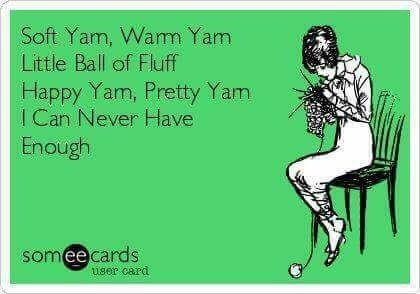 What do you do while you are yarning? 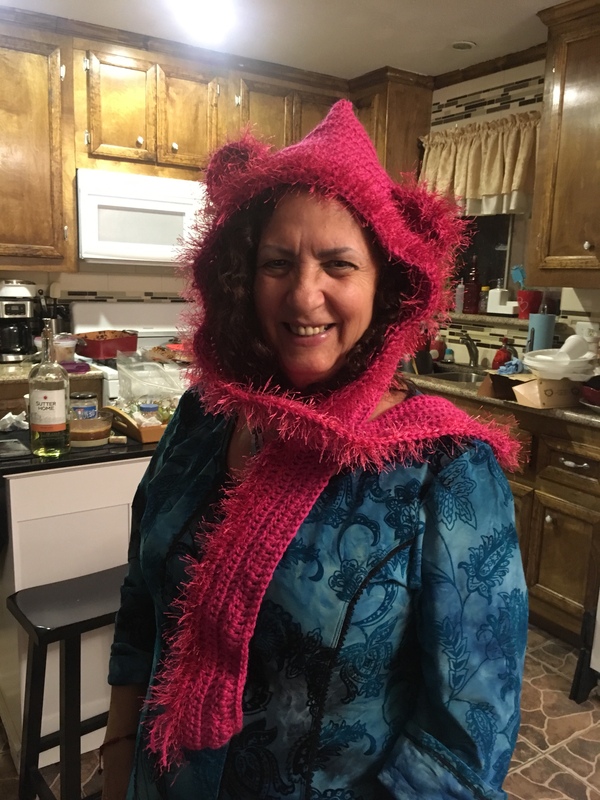 Finished my nieces pink bear 🐻 snoodie and my sweet mother-in-law modeled, since my niece crashed out and had to home before I could finish. Hoping everyone has a wonderful and happy new year!! I need to have a better year! We are in Houston again this weekend visiting family and my sweet darling husband as always keeping me on my toes. Yet again he surprised me. He said we were going to a hobby shop for stuff he wanted to go look at…ok sure. We end up driving up to a store called Twisted Yarns. It was pricey but it had what I would call exotic yarn and it all was very nice. 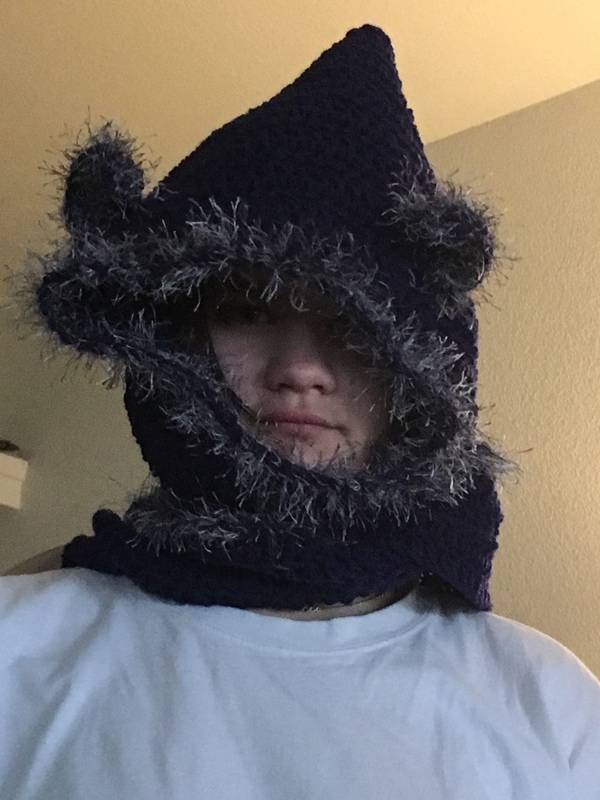 I bought the above to make atleast one if not two cowls.